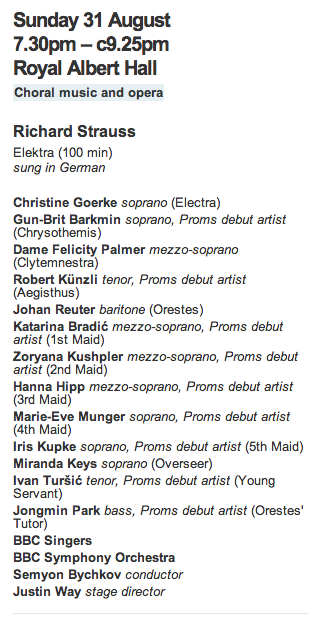 If you didn't happen to be at your computer or other Internet-connected music player this morning and early afternoon (Pacific time), today's Proms Elektra is available for the next four weeks. So is last night's Salome with Nina Stemme, conducted by Donald Runnicles. Just click through to the Proms archive. Now about that Elektra. Great conducting by Semyon Bychkov, very beautifully detailed in the orchestra, top-notch playing from the BBC SO, and an Elektra from Christine Goerke that has me almost at a loss for words. Plenty of decibels, which, goodness knows, this role needs. But everyone who sings the role has volume. Goerke has, in spades, what too many sopranos lack: a warm and richly colored voice; dynamic control from those gigantic triple fortes down to piano, pianissimo; a beautiful line; depth of characterization, from sarcastic to exultant to terrifying (sometimes at the time! ); the ability to sing this long and difficult role with grace and beauty. I've seen her on stage and I can imagine what this looked like - stunning, because she is a tremendous physical actor as well as a marvelous singer. I can't wait for her Met Elektras; we know from a Times article last November that she is under contract to sing at some point in the incoming Chereau production. Well, I'll be there. I want to also single out the astounding Dame Felicity Palmer for her Klytemnestra. Wikipedia says she is 70. She sounded great, and she gave a vocally detailed and dramatically powerful performance. Yes, my eyes bugged out when I saw her birth year, because she sounded as good as most mezzos in their 30s and 40s. Well, sterling technique will take you a long, long way in the singing business. Johan Reuter was a strong and sympathetic Orest; Gunn-Britt Barkmin sounded very good most of the time as Chrysothemis, though occasionally taxed at extremes of range and volume. I think she'd probably make a terrific Kaiserin in Frau. Robert Künzli sang a vivid Aegisth. The soprano Sondra Radvanovsky brought a vulnerable quality to her portrayal of the insecure, needy Gutrune, though her voice was somewhat tremulous. The Rhine Maidens and the Three Norns were strongly cast, with Christine Goerke, as the Third Norn, especially splendid. When is the Met going to promote this excellent soprano who came from its own training program? Dateline April 24, 2000, in a review of that year's Ring at the Met, focused on Jane Eaglen. I'm listening to Georke's fantastic Elektra from the Proms, and you should be too. So I am watched part of the Operalia webcast with head in hands. Somebody take the stick away from Domingo, please, because he is undercutting every one of those poor young singers. However, that tenor singing "Ah, fuyez, douce image" had real promise. The Greek soprano was pretty good in "Ah, non credea" and came to some grief in the cabaletta. Also, don't hold high notes that sounded lousy when you hit them. Pretty good Rossini there, at least until "Non piu mesta." Then I gave up. But I can't say enough times: Domingo should not conduct in public. Update: And yet Mario Chang, said Duke, won. The lovers in question are Charles Ephrussi and Louise Cahen d'Anvers, both members of wealthy, 19th c. Jewish banking families. It is certain that the lovers shared a real interest in music, art and poetry -- and in musicians, artists and poets. Louise's brother-in-law, Albert, was a composer, and Charles and Louise went with him to the Opéra in Paris, and to the more radical premieres in Brussels to hear Massenet. They were both passionate about Wagner, a kind of passion that is hard to dissemble, but good to share. Wagner's operas, I imagine, also gave the couple plenty of time to themselves in one of those deep, plush boxes at the Opéra. They were present at a small and select dinner party (sans the husband) followed by a recital of poetry by Anatole France, hosted by Proust. Whoa: nine days before opening night, Daveda Karanas withdraws from singing Adalgisa in the Norma production, "for personal reasons." Jamie Barton steps in for the September 5, 10, 14, 27 and 30 performances. The press release says that a further announcement will be made for the September 19 and 23 performances. Okay, that's decent payback for losing Barton for last year's Verdi Requiem, when she was singing Adalgisa at the Met. Elliott Carter’s final world premiere will take place at Carnegie Hall during the 2014–15 season; the work, The American Sublime, will be performed by the MET Chamber Ensemble under the baton of James Levine. I'm so happy that there's more Carter to come, and a little sad that a great compositional run will finally be over. Final negotiations will take place tomorrow with eight smaller unions representing behind-the-scenes Met personnel. All are expected to reach agreements, preventing a potential labor crisis at the nation’s largest performing arts organization. The remaining unions with unsettled contracts include six unions represented by IATSE: Local 751 (box office treasurers), Local 764 (costume and wardrobe), Local 794 (camera operators), Local 798 (wigs, hair, and make-up), Local USA 829 (scenic artists and designers), and Local 829EE (bill poster); Local Four (parks crew); and Local 1456 (painter). I got an email a day or so ago about what sounds like an interesting project. However, upon careful examination of said email, I can say unequivocally that the writer took the wrong approach. First, it started by saying the writer "loves my blog" and "what I do for the music community." Okay, fine. But then the writer told me how much she'd like to write a posting for my blog. Well, phooey: if you think I'm going to publish a guest post, you're not reading me very carefully, even if you love my blog. 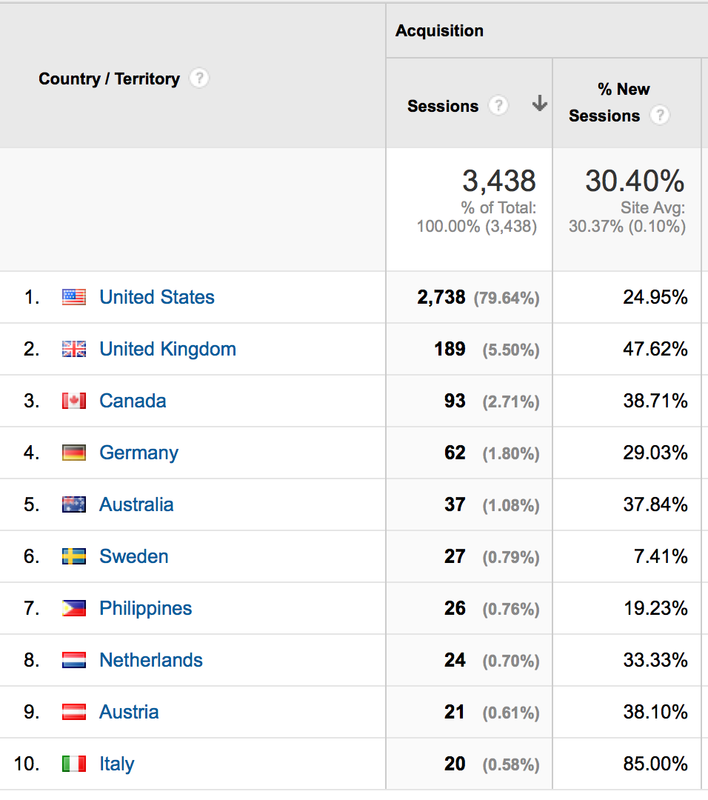 In 2,661 postings, I have published no, zip, zero, nada guest postings. I mean, as far as I can remember; it's been almost ten years, after all. Also, I don't write primarily about vocal music. I write a lot of stuff about opera, it's true, but I am also prolific on the business of opera and the business of symphony orchestras. So, get your story straight before sending me email. If you slip up on factual matters, you lose my trust and my interest in writing about your project. According to Michael Cooper's report, both management and labor made some concessions in the Met's negotiations. What I find most interesting is that the apparent actual wage cuts for labor were much lower than either the labor allegation that the Met wanted 25% or the Met statement that the Met wanted 17%. In fact, the cuts, which have some unusual features, are so low that one wanders whether all the sabre-rattling and threats were necessary. A brief message from the Met says that the company has reached agreements with AGMA and AFM. Email from the AFM confirms this. Please be aware that the Federal Mediation and Conciliation Service (FMCS) will be issuing a statement momentarily announcing that the Met has reached agreements with two of its largest unions, AGMA and Local 802. In addition, the Met announced that the contract deadline has been extended through midnight on Tuesday, August 19, to allow Local One and the other remaining unions with unsettled contracts more time to secure new deals with the institution. New York, New York—Monday, August 18, 2014—The musicians of the Met Orchestra and their union, Local 802 of the American Federation of Musicians, announced that they have reached a tentative agreement with the Metropolitan Opera. Said Tino Gagliardi, president of the Associated Musicians of Greater New York, Local 802, AFM, which represents the MET Orchestra musicians, "After many hours of deliberation, today we have reached a tentative agreement which is subject to the approval of Local 802's executive board and ratification by the MET Orchestra Musicians." A report on Parterre Box says that the great soprano Licia Albanese has died at 101. Well, no: she was 105, unless you think she lied on her naturalization papers, which state that she was born in 1909. In any event, she lived to a ripe old age, and very likely got to celebrate her 100th birthday twice. She was a wonderful singer, with a lovely voice and a born feel for the line of Italian opera. As evidence, I offer up my favorite recording of La Boheme, from 1938, with Albanese and the equally great Beniamino Gigli as Rodolfo. Here they are, in Act I, from "Buona sera" through to "O soave fanciulla." If they don't touch you, you have no heart. Her voice was on the slender side, especially for some of the repertory she sang. It's a little hard to imagine her as Tosca, though it's obvious she would have nailed it stylistically. And you don't necessarily want to hear her in Mozart. But in Italian opera, she was supreme; a great Liu, partly captured on record in 1937 with Eva Turner; a great Violetta; a great Mimi; a great Butterfly. I met her once, in 2004 or 2005, when I was actively researching a biography of Turner. She adored San Francisco, sang here often during her career, and visited regularly after her retirement. She was lovely to speak with and told me a few telling tidbits about Turner's personality. In truth, she didn't remember that much about how Turner had sounded back in 1937, but it really did not matter much. I feel lucky to have met her. A long life, a great career, greatly loved - what more could you want? Rest in peace, Licia Albanese. Just arrived, the first cast change of the season: Krassimira Stoyanova, who was to sing the first six of the seven performances, has withdrawn for health reasons. Julianna Di Giacomo, who was going to sing the last performance, will instead sing all seven. The production opens on October 4, 2014. I hope she'll be singing here in the future, and in the meantime, I wish her a swift and complete recovery. And I hope Ms. Di Giacomo, who makes her role and SFO debut in these performances, knocks us dead! I'll put links worth reading here on a rolling basis. Thanks to everyone who boosted my stats by reading The Met as a Risk-Taker this week. Mezzo-soprano Suzanne Mentzer tells you what the stage crew, dressers, hairdressers, and makeup artists do, and why they are so important and well-paid. Mezzo-soprano Jennifer Rivera tells you about what opera singers make and why. Clocked In....or Locked Out at the Metropolitan Opera, Mark MacNamara, SFCV. Be sure to read the comments! The Case for Peter Gelb: The Met's Maligned Manager Isn't as Bad as You Think. James Jorden, NY Observer. A ringing endorsement! Met's Labor Woes Divide Opera Fans as Well as Participants, Michael Cooper. Opera Teen is quoted! The Met as a Risk-Taker, with comments from La Cieca. At the Choral Public Domain Wiki. 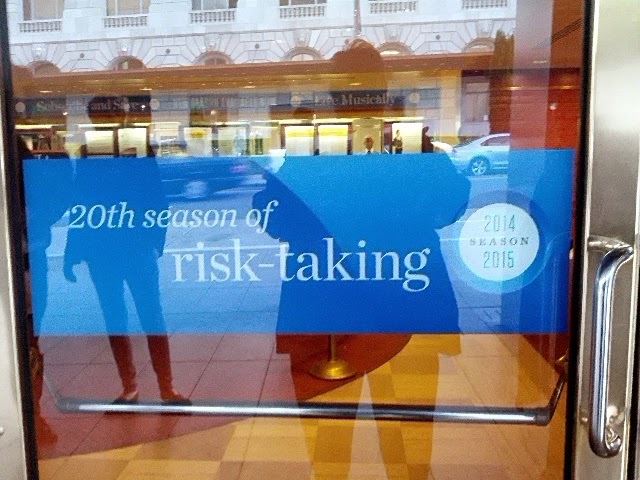 The Met as a Risk Taker? Anthony Tommasini wrote an article about risk-taking at the Met, and Drew McManus followed up with a good analysis of both that article and the Met's situation. But there are some issues neither of them addresses at all that are relevant to the issue of the Met as an artistic leader and risk-taker. They are both aware of these issues, but somehow these points don't emerge in the articles, other than that Tommasini does mention the misbegotten Lepage Ring in passing, a production that Peter Gelb has unsuccessfully tried to pass off as innovative and risk-taking. (To repeat why this isn't so: a unit-set production with terrible Personregie isn't innovative. It's dumb.) In any event, my major point is that I do not think the words "artistic risk" and "Met" can reasonably be used in relation to each other. The Met has close to 4000 seats to fill, hence the tourist-friendly, everpresent Zefirelli Boheme and its ilk. The company operates in an expensive city with expensive union contracts. Some of the big donors are conservative to a fault: note the Sibyl Harrington Foundation's lawsuit over the Dieter Dorn Tristan, which is spare but not in any way radical. The Met's idea of "risk" is that Willy Decker Traviata that, again, is pretty conventional, or the Prince Igor that Tommasini discusses. Yes, the Igor is reimagined in an interesting way, and it is a rarity, but it is not musically risky, being full of beautiful tunes. The Met has whole seasons where only two operas of 25 were written later than Turandot. This year, there are three: The Rake's Progress, Lady Macbeth of Mtsensk, and The Death of Klinghoffer. Of these, only Klinghoffer represents much of a risk, and that is not because of its musical idiom. There are giant swathes of repertory the Met rarely, or never, perform, such as new and recent operas not written by people named Glass, Adams, or Corigliano. (There are exceptions but you know what I mean.) New operas written by Europeans. Anything vaguely experimental, though the Muhly opera is at least trendy. The Met seems to regard Janacek as chancy, and they don't touch Dvorak other than Rusalka. In context, it is amazing that they're doing Iolanta this season, but it's Tchaikowsky. The Met doesn't use truly radical stagings, except for the Robert Wilson Lohengrin and perhaps that new Parsifal. They've got Herheim's Meistersinger coming in some day, but it's the least radical of his stagings that I have read about. We can forget about Bieto or Neunfels or any of the other more thoughtful directors working primarily in Europe. Even the great Patrice Chereau took until 2009 to get a staging to the Met. The Met is not a company that has ever shown much artistic leadership, and all you have to do is take a look at its repertory report to see the truth of this. Especially since 1945, it has had a terrible record of performing new and recent opera, and has done little to expand the repertory or commission new works. It's a behemoth whose productions always get a lot of attention. The company pays decently; its productions are reviewed and seen worldwide; it can get a singer a lot of good publicity. But an artistic leader or risk taker, the company is not and never has been. See my previous posting for an update; the problems are not what I thought they were. I'm Looking at You, Sydney Symphony. I heard on Facebook that dates have been announced for Stuart Skelton to take on the summit of tenor roles, Tristan, at Sydney Symphony. I heard this from the tenor himself! To see their season brochure PDF, you have to register. Their search box doesn't work. A few thoughts: I live in California, and, um, why do I have to register to find out your season schedule? Don't you want to make it as easy as possible for people to find out what you are performing when? I typed Tristan into the search box. The only result was a gala concert that includes (or included) the Tristan prelude. That's a good cast, but whether I attend depends on whether I have Bayreuth tickets. And you could say that I'm hoping to see this particular tenor in a staged performance, perhaps a little closer to home. 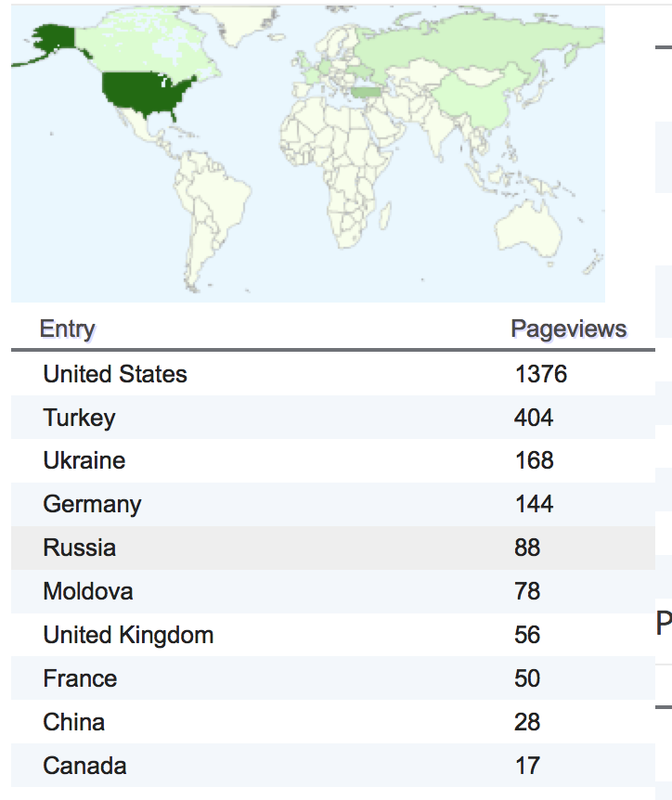 That's right: Turkey, Ukraine, Germany, Russia, and Moldova are allegedly ahead of the UK, France, China, and Canada in terms of page views. Sessions isn't the same as page views, but whatever. You might check your stats and see whether they make sense. As anyone reading this blog must know, I am woefully behind in reviewing season announcements for the upcoming season, which starts in about a month. Well, so it goes. But San Francisco Symphony sent out a press the other day with the first couple of months of concerts, so my dander is now up. Here's the thing: there's quite a lot of music this SFS season that I'd like to hear, but, unfortunately, the season is also so heavily loaded with Beethoven and other top-10 composers that I'm tearing my hair out. There'll be one piece, new or unusual, that I want to hear, but it's sandwiched between stuff I'm just not very excited about. So, right: more than twice as much Beethoven as the next two composers combined. And if you're alive, being named Adams will go a long way to getting your work performed in San Francisco. The Adamses, father John Coolidge and son Samuel Carl, have two works each. (John Luther Adams also has a piece programmed.) No other living composer has more than one. The reason there's all that Beethoven is that the season ends with a three-week Beethoven Festival. This is a close follow-on to this past season's Beethoven and Bates concert. (This past season, Mason Bates was the living composer who had more than one work performed.) There's some fun stuff on the LvB Fest, including a recreation of the four-hour program that introduced a couple of Beethoven's symphonies, a piano concerto, and a few other odd ends, plus a well-cast Fidelio that, for all I know, will match June's incredible Peter Grimes. No, wait, not going to happen, because even the best-performed Fidelio isn't as good a work as Grimes. Still! Now, Terry Teachout quite rightly reminded people a while back on his blog that there are newcomers to this music who've never heard the Beethoven or any of the other guys listed above. (I'm pointing a figure at you, SFS: another all-male season.) Yes, symphony orchestras have to play a little, or even more than a little, Beethoven, Brahms, Tchaikowsky, etc. Still: see the photo above. There's plenty of music I'd like to hear, but how much risk is involved in a season like the upcoming season?? Enough of the complaining. There are some programs I'm at least a little excited about. There's the Brahms program, conducted mostly by Herbert Blomstedt and featuring the German Requiem with Christian Gerhaher as the baritone soloist. Okay, this is not exactly exotic music, but Blomstedt was so great the last time I saw him that I have to attend this program. Also, I love the piece, and Gerhaher (who is also giving a recital in September, through San Francisco Performances) has a gigantic reputation. Most of the way through September, we get to one of the programs that...well....I'm not spending money on. The work I want to see is Henry Brant's Ice Field. The works I don't want to see are Brandenburg No. 3 and Tchaikowsky Symphony No. 5. There's another in October: a work by Steven Stucky, followed by Bartok's Miraculous Mandarin (played just a few seasons back) and Rach 3 with Garrick Ohlsson. I will get a ticket to the second of Vladimir Jurowski's programs with the LSO: Lindberg, Rach Paganini, Shos 8, although that week is jammed workwise and it's a Monday program, so...maybe not? Then Stéphane Deneve comes in to SFS with Isabella Faust playing the Britten Violin Concerto...though I don't care much about the other works on the program. Christian Zacharias's program has a Mozart piano concerto and Feldman's Madame Press Died Last Week at Ninety but oh god it leads off with Appalachian Spring, which I hate. MTT tackles Mahler 7, which didn't work so well the last time I heard it; then there's a week with a confusing repertory. The date to attend is November 8, when you get to hear Sam Adams's Drift and Providence and Gil Shaham in Prokofiev...but wait. Is that the concerto Shaham just played in June, on the Prince of the Pagodas program? Susanna Malkki returns, this time in a short week, but it's a good program: a Griffes tone poem (and when did you last hear one of those live? ), Bartok Third Piano Concerto (Denk - but could we hear the First some time? ), and Brahms 2nd Symphony. We then hit December, when there is rarely much I'd like to hear; the last time I went to a December SFS program, it was Salonen leading Sibelius, his own Violin Concerto, and some Wagner. Emmanuel Ax gives a tasty-looking piano recital, then we get to the MTT 70th Birthday Celebration. The whole program hasn't been announced, but it will include a crazy Liszt piece for six pianos and orchestra, and those six will be Jeremy Denk, Jean-Yves Thibaudet, Yuja Wang, Marc-Andre Hamelin, Emmanuel Ax, and a pianist to be named later (maybe MTT himself?). That's a lot of talent in one place. Ivan Fischer comes in with the Budapest Festival Orchestra; first program is Brahms 1 and 3, second is Mendelssohn, Violin Concert (Zuckerman) and excerpts from A Midsummer Night's Dream. Blomstedt's first program with SFS is Mozart and Sibelius; his second includes a couple of other Brahms works, then the Requiem. Yannick Nezet-Seguin brings the Rotterdam Philharmonic; first program is Brahms piano concerto no. 1 (Grimaud) and Tchaik 5th symphony, second is the Ravel piano concerto and Prokofiev symphony no. 5. Hmm. Toward the end of February, MTT has a program that includes John Luther Adams's The Light that Fills the World, with (alas) the Brahms violin concerto and Schumann's First. Okay, I like both those pieces, but wot? Jeremy Denk conducts the Academy of St. Martin in the Fields in two programs I plan to skip; he plays four J.S. Bach keyboard concertos - which I am a philistine to miss, I know - leavened with Suk and Dvorak on one program, a pair of Stravinsky works on the other. Bookending these two programs, Ton Koopman at SFS, and, again, no. Then the mighty LSO drops by, with.....Michael Tilson Thomas and Yuja Wang, a pairing we never see together in San Francisco. They're both pretty good programs, though, and one includes the Sibelius 2nd, which Herbert Blomstedt conducts earlier with the SFS, so you've got your hot & cold running Sibelius 2 right there, along with the Tchaik 5. Semyon Bychkov then has an SFS program, unfortunately it's Bruckner. He's a great conductor, but I've gotta take a pass. (For the Bruckner fans among us, I note that Chora Nova, with which I used to sing, is performing his Mass in E Minor this fall.) Pablo Heras-Casado has an Adams, Schoenberg, Beethoven program, where I might spring for a rush ticket to the first half. I don't love the Beethoven violin concerto and if I hear it live again soon, I want a more muscular performance than it's likely to get from Joshua Bell. I'm just going to pass on Heras-Casado's second program of Haydn, Mozart, Debussy, and Stravinsky. H-C also conducts a SoundBox concert, which is likely to be interesting. He's the only big-league orchestra conductor just now who conducts early music programs as well as standard stuff and new music. Then MTT comes back from wherever he has been - probably Miami - with a Bernstein/Mahler pairing. It only sounds like a Mitteleuropean law firm; he's conducting The Age of Anxiety and Mahler 4, with Jean-Yves Thibaudet and Susanna Phillips. His next couple of programs look great: Cage, Mendelssohn, and Stravinsky, followed by Cage, Cage. Ragnar Bohlin takes the SFS Chorus for a spin in the Stravinsky Mass, Durufle Requiem, and Part Te Deum. Too bad the concert is on a Sunday at 5 p.m., in the middle of my jujitsu class. I don't know most of the singers or the pianist, but whatever. Great program, by me. Then we get the third go-round with the Missa Solemnis, and by now there is some hope that MTT has it under his belt better than the first time, back in 2011, which had both me and JK grimacing a lot. Soloists include Joelle Harvey and Sasha Cooke. It all ends with a bang; there are a pair of concerts that each have half the marathon, the marathon itself, and the grand finale of Fidelio. The marathon program is really nuts and will cost a lot in overtime; I can't resist it, though. Then there's a program of which only LvB Fifth Symphony was announced as of the season announcement. That second point means that David Herbert is staying in Chicago. However, no additional rounds of auditions for the oboe section have been announced. New York, NY (August 2, 2014) – The Metropolitan Opera, AGMA, and Local 802 announced today in collaboration with the U.S. Federal Mediation and Conciliation Service that they have agreed to allow an independent financial analyst, Eugene Keilin, to conduct a confidential and independent study of the Met’s finances in an effort to help all parties reach new contractual agreements. The study commenced today and as a consequence, there will be a further extension of union contracts for approximately one week. Discussions with other unions, including Local One, Local 4, Local 751, Local 764, Local 794, Local 798, Local 829, Local 829BP, Local 1456, and Directors Guild of America, are temporarily on hold. Earlier this week, the Met announced that it had reached new contract agreements with three unions: Local 32BJ, Local 210, and Local 30.